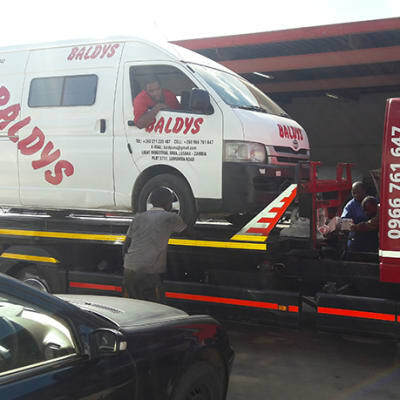 Baldys offers breakdown recovery, motor vehicle transportation and storage services. The company has easy access to the major high ways, meaning they are able to respond quickly and efficiently. Baldys operates a fleet of vehicles and trailers, purpose-designed to carry cars, vans and other machinery or equipment. This company delivers premium towing services for heavy duty vehicles throughout Zambia, SADC and COMESA regions. Lusaka Consolidators has invested in a fleet of up-to-date towing vehicles and equipment to efficiently carry out its services. The company takes pride in its quick, affordable and professional service. Mega Earth Movers offers world class abnormal load transportation services within Zambia and neighbouring countries. The company makes sure that all equipment is delivered on time and without damages. During transportation, Mega Earth Movers regularly keeps its clients informed on the status of their cargo.